Looking tired? 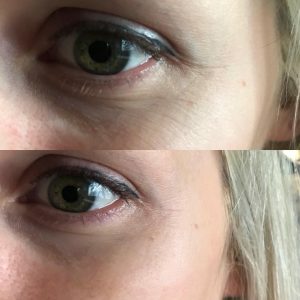 Want a boost for your eye area? Look no further we have the answer for you! 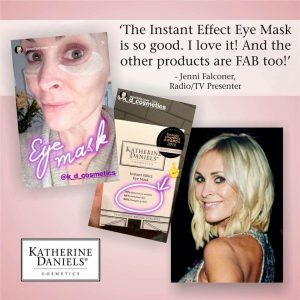 These instant eye masks guarantee startling results in just 20 mintues! As usual I like to test out these products for myself to see the true results. I like my clients to know that anything we use in the salon we have tried ourselves and i wouldn’t recommend something that wasn’t great. So what better oppourtunity than one of my best friends wedding?! I had the pleasure of staying with my friend in her London hotel room the night before the wedding, she’d had hardly any slept all week so I thought these would be a great pick me up. 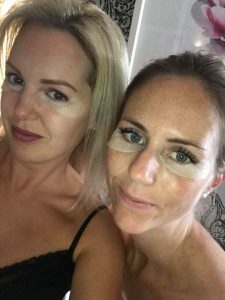 I took the eye masks with me and whipped them out early morning, we applied the eye masks after cleasing and ate our breakfast. So glad I took before and after pictures as I wanted to really see the results up close. After 25 minutes we took them off, applied eye cream, serum and moisturiser (all Katherine Daniels costmetics). I then applied Clara’s makeup, and we finished getting ready. 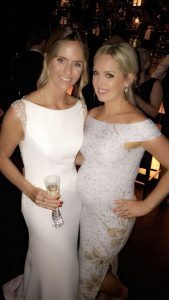 It was an early wedding starting at 11am and lasted until 3am! As you can see from the evening picture Clara still looks fab at midnight! It was a fantastic day and night and I was really glad I decided to use these masks in the morning. 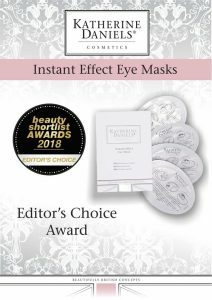 They are great for any event you have as the effects last all day. 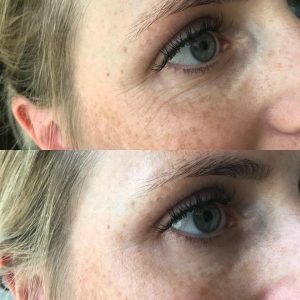 Experience results of freshly combined concentrated sea kelp and a mineral complex, saturated with hydra-boosting Hyaluronic acid. Leaving the skin visibly luminous, plumped and smooth and will feel hydrated, firm and revitalised. Sustained results if used twice a week! Free from fragrance, parabens, mineral oils, colurants silicone. Purchase in the salon for £58 for a pack of 4. Or enjoy along side another in salon treatment for £15 each.